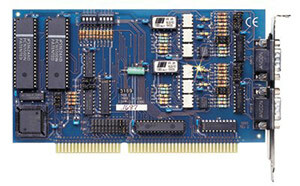 The OMG-ULTRA-SIO provides the PC with two isolated RS422/485 Asynchronous links to data collection and other devices. Isolation is important in installations where the equipment connected to the PC is either located far from the host system, or on a different power transformer circuit. The optical isolation feature of the OMG-ULTRA-SIO-I eliminates the risk of ground loop current, a commonly neglected and misunderstood phenomenon which leads to data errors and destruction of communications equipment. Individually selectable addresses and extended “AT” interrupts allow for seamless integration into Windows and OS/2 systems. The OMG-ULTRA-SIO appears to the host system as a standard COM: port requiring no special drivers or additional software. 참고: Comes with complete operator's manual and serial utility CD.